This Homemade Condensed Cream of Chicken Soup is so easy to make and tastes WAY better than the canned stuff! 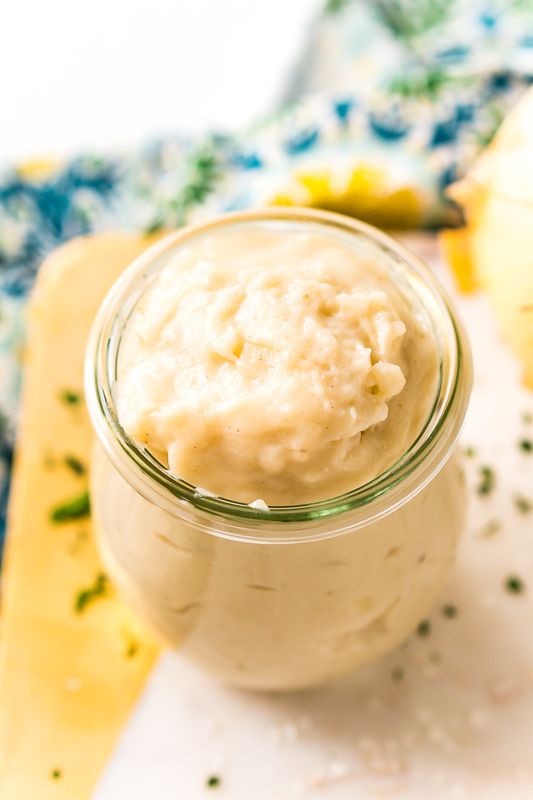 Use it in your favorite recipes like casseroles and chicken pot pie! 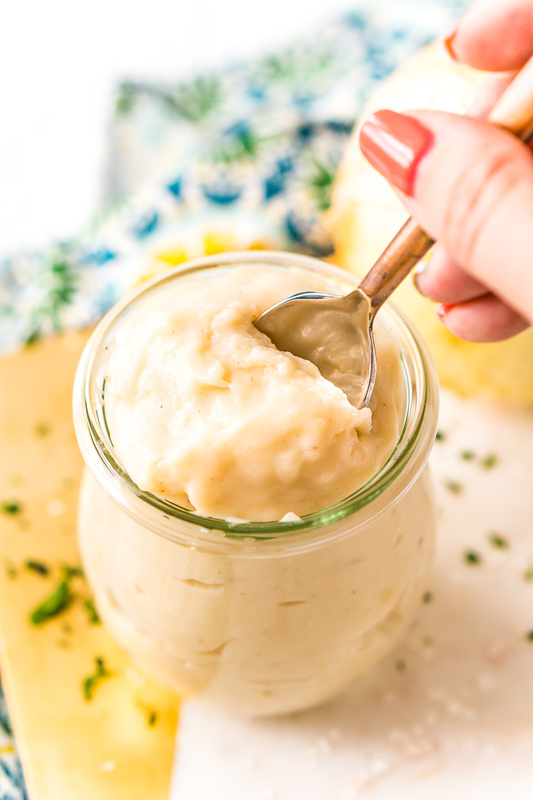 Once you make this easy and delicious Homemade Condensed Cream of Chicken Soup, you may end up ditching the canned version for good! After all, there’s nothing like the taste of home-cookin’, amirite? This versatile recipe builder will become a staple in your favorite dishes, especially as the weather gets chilly come fall and winter. Luckily, it’s super simple to throw together! JUST TAKE ME TO THE CREAM OF CHICKEN SOUP RECIPE ALREADY! 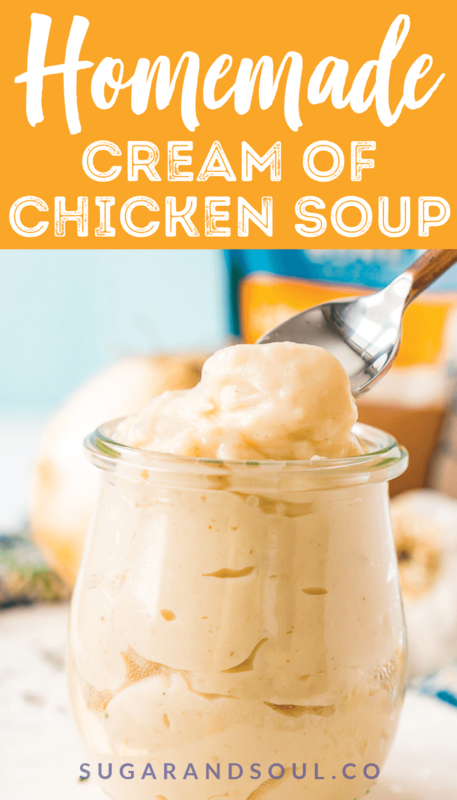 If you’d rather skip my (very helpful, I think) tips and tricks, essential cooking info, and similar recipe ideas – and get straight to this deliciously easy Best Ever CONDENSED CREAM OF CHICKEN SOUP Recipe – simply scroll to the bottom of the page where you can find the printable recipe card. What Is Condensed Chicken Soup? John T. Dorrance, a chemist with the Campbell Soup Company, invented condensed soup in 1897. Canned soup can be condensed, in which case it is prepared by adding water (or sometimes milk), or it can be “ready-to-eat”, meaning that no additional liquid is needed before eating. This is a homemade version of Condensed soup and is meant to be utilized as an ingredient in other recipes and not as a traditional soup. Chicken broth and whole milk make up the stock of this soup, then the addition of flour makes the consistency thick and creamy, the same way it thickens up gravy. The trick to this step is to sprinkle the flour into some of the milk before adding it to the hot ingredients and then continue whisking the liquid to avoid any lumps as you add it in. Onion powder, salt, black pepper, fresh parsley, allspice, paprika, and fragrant sauteed garlic add lots of savory flavors, so whipping up yummy meals with this Cream of Chicken Soup is a snap! Interestingly, there’s no actual chicken in Cream of Chicken Soup, since this recipe is mostly used as a component in other dishes. 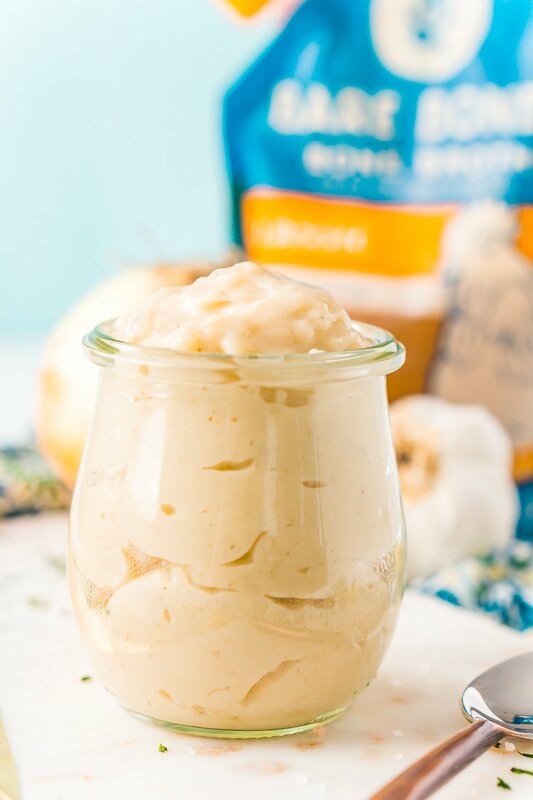 Its creamy consistency and broth-filled flavor always add tantalizing taste and texture to lots of satisfying and comforting meals. If you’ve never made a recipe with Condensed Cream of Chicken Soup, you’re missing out! You can get creative with casseroles, chicken pot pies, enchiladas, pasta dishes, risotto, and chicken bakes, just to name a few! I can almost guarantee that you’ll become a fan of Cream of Chicken Soup once you start cooking with it. This one recipe can inspire everything from quick weeknight dinners to big meals that you can serve when you’re hosting company. 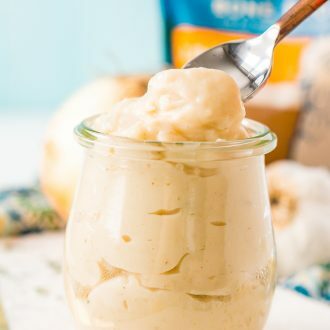 You can even make a big batch and freeze the extra soup for future meals, which really comes in handy when the hectic days of the back-to-school season roll around! As an added bonus, you can feel good about using this scratch-made recipe, which is healthier and tastier than the store-bought stuff. Make a batch of Homemade Cream of Chicken Soup as a healthy way to inspire quick and tasty meals that the whole family will love! 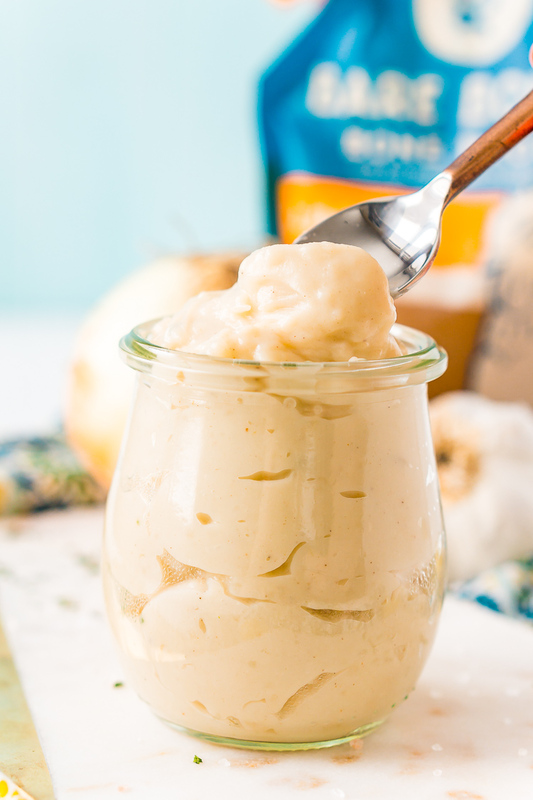 It’s so flavorful and easy to make, you may never want to buy the canned stuff again. Pin this Cream of Chicken Soup Recipe for Later! Be sure to follow me on Instagram and tag #sugarandsoulco so I can see all the wonderful recipes YOU make from this site! I have some delicious recipes using this homemade Cream of Chicken Soup coming up real soon, so keep an eye out for it! In fact, you can subscribe to my newsletter so you never miss a delicious recipe again! Add 2 tablespoons of chicken broth to a large pot with the garlic and simmer over medium heat for 2 to 3 minutes, stirring occasionally, until garlic is tender. Whisk in the remaining broth and 1/2 cup of whole milk as well as the onion powder, salt, pepper, parsley, allspice, and paprika. Bring the mixture to a boil, reduce heat and allow to simmer for 2 minutes. In a medium bowl, whisk together the flour and the remaining milk until smooth. Slowly add it to the pot, whisking continuously to avoid any clumps. Continue to whisk the mixture until the edges start to boil and the mixture begins to thicken. Remove from heat and use in other recipes, as desired. Stock can be used instead of broth, but if you have a choice, choose broth for best flavor. I’ve never even thought to make my own condensed cream of chicken soup before seeing this post, but now I want to use it in everything! Also, your photos are so gorgeous! This is absolutely brilliant! I will for sure be keeping some of this in my freezer at all times. I can’t wait to make a pot pie with it! Yes, I can usually make 3 or 4 recipes out of one batch. It’s great for meal planning! I went searching for this because there are 2+ grams of sodium in a can of soup! My husband can’t have the sodium nor the potassium often used as a [nasty tasting] replacement because of stage 4 polycystic kidney disease. I plan to make this with salt free broth and no added salt. How many “can equivalents” would you say this makes? Hi Tracey, it’s hard to say exactly, but about 4 to 5 cans would be my guess.